You’re walking to your car late at night and hear someone getting closer and closer behind you. If that person intends to cause you harm in any way, how are you going to protect yourself? Are you proficient in martial arts? Can you handle yourself in a street fight? Chances are, the answer’s no. Here at Homendgarden we’re not going to suggest taking extreme measures. We will say it always pays to be prepared, though. Luckily, there’s one obvious solution that doesn’t involve anything as extreme as a firearm but will stop just about any assailant in their tracks giving you the time to do what you should do in this situation: run! 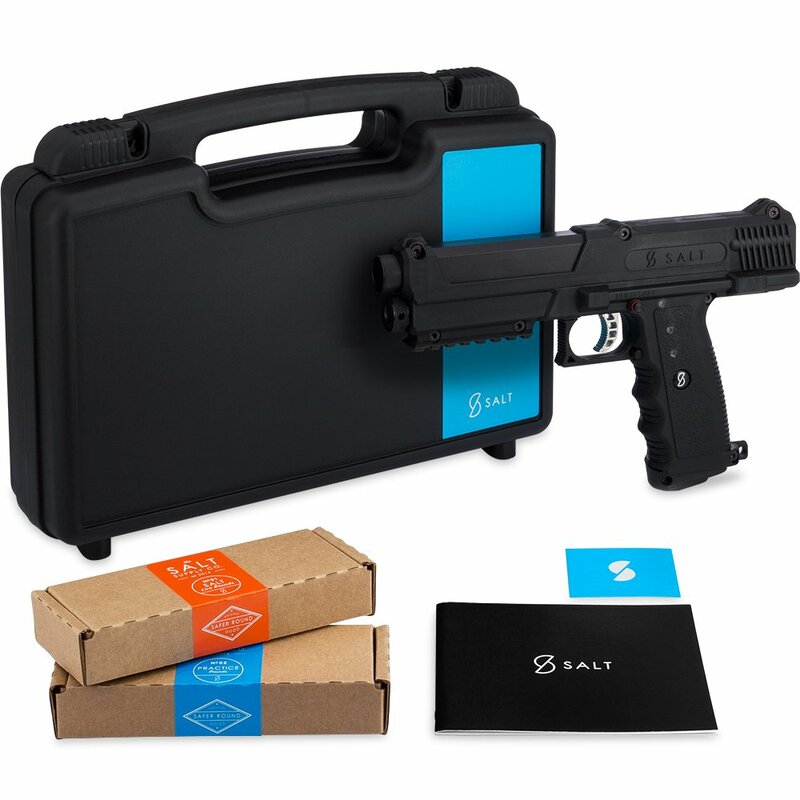 First up in our best pepper spray gun reviews is the class-leading Salt Supply kit coming with everything you need from 10 practice rounds and 10 live pepper spray rounds through to a nifty protective carrying case. 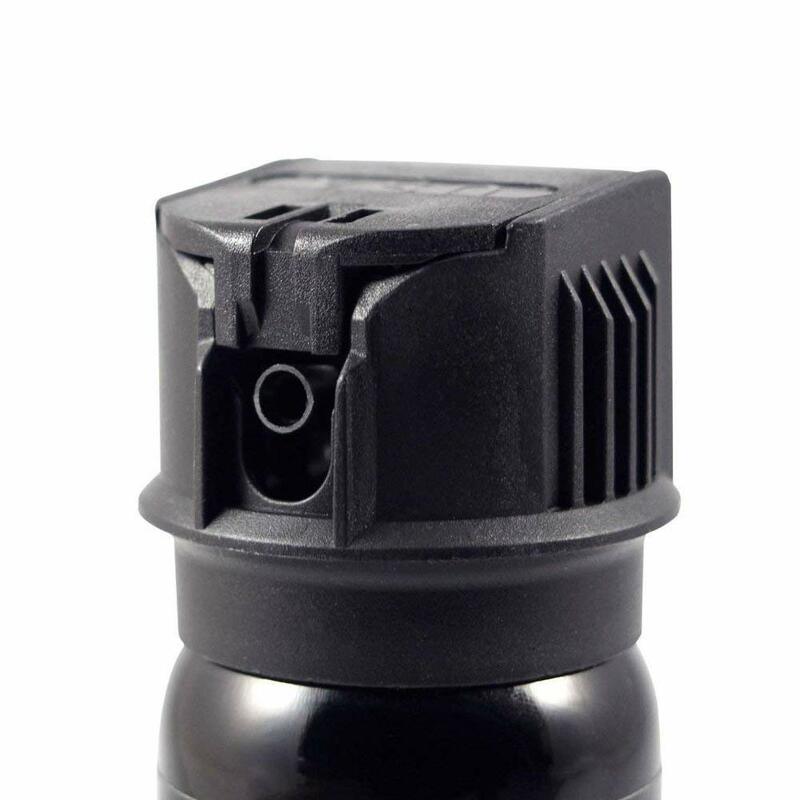 While this pepper spray is expensive, this is one type of product where the cheapest will either let you down or perform more like a toy than a proper protective device. Consider this spray gun an investment in your own security. Many standard-issue pepper spray guns have woeful ranges of as little as 10 feet. You can stop someone in their tracks with a menacing burst of pepper from as far away as 150 feet. With no needless bang and absolutely no kick-back, this pepper spray is a cinch to use even if it’s your first time. The Salt Supply would make a superb gift for your daughter if she’s heading off to college and you want to make sure she’s protected at all times without taking extreme measures. 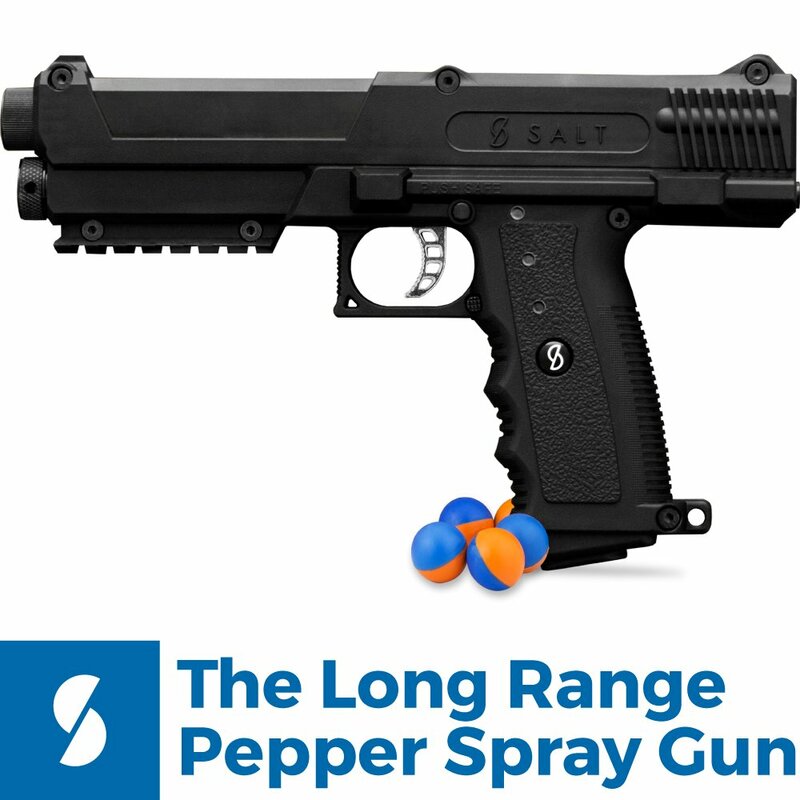 For a military-grade self-defense device from a brand you can trust, the Salt Supply pepper spray gun is unbeatable. Which is exactly how you’ll feel if you’re carrying one. 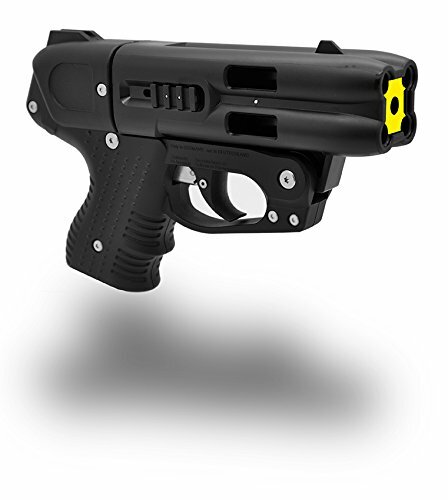 Next up in our best pepper spray gun reviews is the legendary Swiss-made Firestorm JPX. 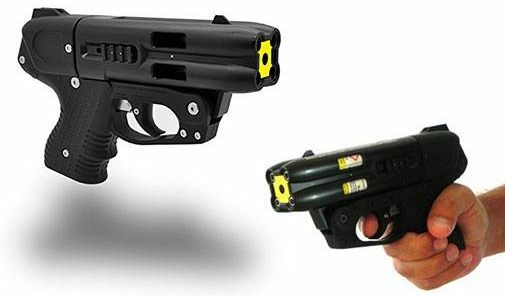 Pepper spray guns can be effective before you even pull the trigger. At a glance, anyone approaching you would be forgiven for assuming this is a real weapon. The ATF does not consider it a firearm so even if you hate the idea of carrying a real weapon you can rest easy because you won’t need to. While not in the league of the Salt Supply spray gun, the super-compact JPX can still hit the target at over 20 feet. We’ll be honest, if you can sense someone wants to cause you harm, you’re better off waiting until they’re roughly this close whatever the theoretical range. Proprietary OC solution cartridges pack all the punch you need to see your opponent rendered useless without causing them any permanent harm. You can’t ask for much more than that in any self-defense device. At the mid-point of our best pepper spray gun reviews, we’ve got another military-grade showstopper, this time the DAD 2 from TigerLight. 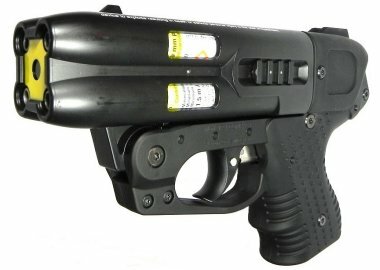 Pepper spray guns that resemble real firearms carry a certain advantage: you might not even need to pull the trigger to scare off an attacker. That said, it’s tough to walk down the street carrying what looks lie a gun. The DAD2 looks nothing like a weapon, though. If you’re in any potentially dangerous situation, keep it in your hand ready to strike back if anyone tries to invade your personal space. If you’re in danger, the device packs Bluetooth GPS. Your location will be sent to any designated contacts with the DAD app who are within 1 mile of the incident so they can call the police or take action themselves. The app is free, intuitive and user-friendly even if you’re not a tech-lover. As an added kicker, this device doubles as a tactical flashlight. We’ll be covering these devices in the coming weeks but you can get the best of both worlds with the DAD 2. The pepper spray itself has a 96% stop rate so you can take down anyone who’s trying to hurt you without permanent injury. If you’re looking for a belt-and-braces approach to self-defense, you’ll get both pepper spray and pepper gel from Sabre in this pocket-friendly self-defense device you’ll wonder how anyone could produce and sell so cheaply. While stopping range is less than ideal, you can repel any interloper at close-quarters with stunning force without injuring them permanently. Law-enforcement strength spray is combined with a dye so your attacker gets stopped in his tracks while also making apprehension easier. Looking more like a Bluetooth speaker than a weapon, you can keep your Sabre in hand fully secured by the easily adjustable hand strap. If you want to take charge of your own safety without needing to carry a licensed firearm along with all the risks that carries, we can’t recommend this 2-in-1 device strongly enough. 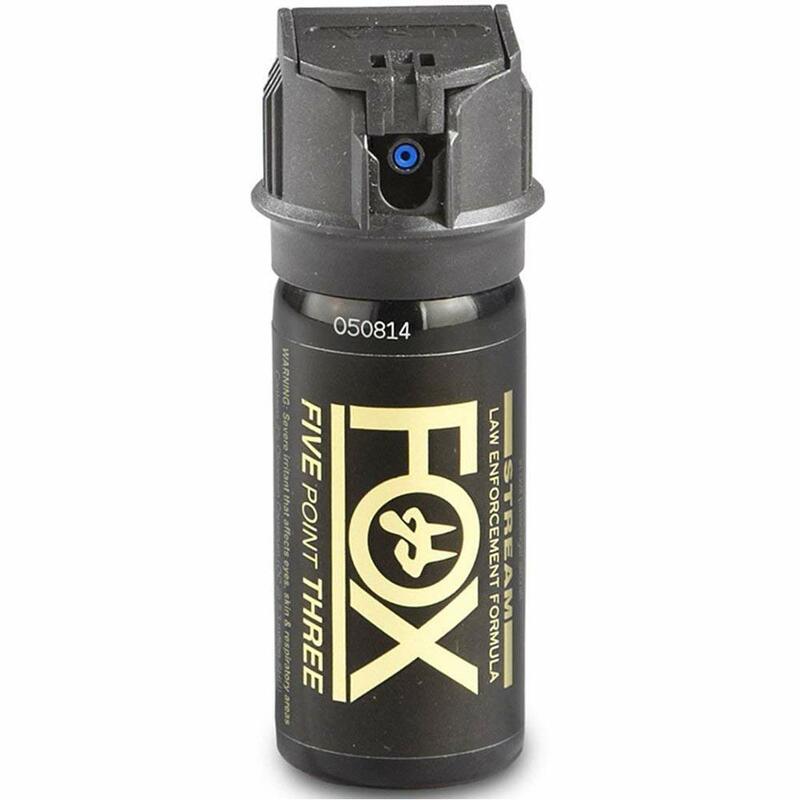 Last up in our best pepper spray guns reviews is ACK’s Fox Labs device which is carried by military and police as an extra arm of defense. You can hit back at anyone intending you harm with multiple bursts of pepper spray that will stun them by bringing tears to their eyes while you gleefully run to safety. As with any product, you’ll find a handful of disgruntled users. You’ll find some gripes about the quoted range but in our tests it proved pretty accurate. For obvious reasons, our live tests didn’t include spraying anyone in the face so we can only assume the many satisfied customers who have been unlucky enough to need to use the pepper spray are content with the stopping power. 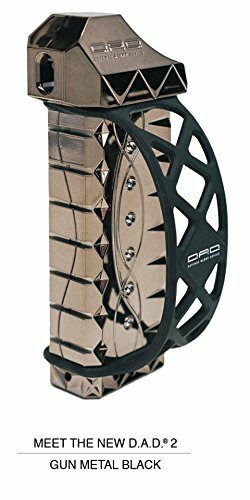 Although you get a hard-hitting self-defense tool at an incredibly low price-point, the device is compact and easy to carry in your hand without anyone noticing it until it’s too late and they’re rolling around on the floor as you head off into the distance. With our best pepper spray guns reviews nailed, what should you look out for when you’re on the buying trail? Clearly, carrying a firearm is not something many citizens feel comfortable with for obvious reasons. Pepper spray guns make the perfect compromise. Stay safe without any fear of causing permanent damage to your attacker even if they want to mess with you. Bear these factors in mind and finding the best pepper spray gun should be as easy as dropping any potential attacker. Do you want a self-defense device you can carry at all times? Do you only need protection when you’re out running or exercising? How and where you want to carry your pepper spray should inform the type you buy. Some sprays look just like a regular firearm so can clearly not be carried openly or kept in your hand. 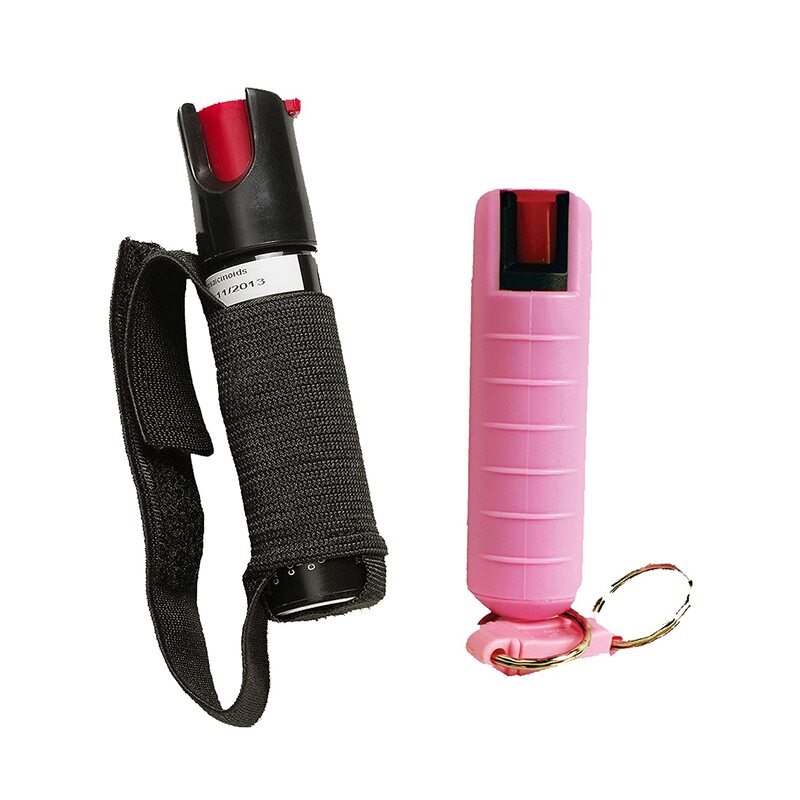 That said, this type of pepper spray looks intimidating and you might need to do little more than brandish it to see off an attacker. Other pepper spray guns look nothing like a weapon so you can keep them palmed and ready for action any time you’re somewhere that you feel is potentially unsafe. Range varies dramatically from just a few feet to as much as 150 feet and beyond. Again, your intended usage will dictate your needs here. Range is always prominently displayed and in all our pepper spray gun reviews, we’ve flagged range to make your buying decision easier every step of the way. If you’re faced with multiple attackers, a gun allowing you to fire a number of shots is just what you need. There’s no right or wrong answer here but it goes unsaid, the more shots your device can fire the better. As a quick aside, if you leave your pepper spray gun unused – which hopefully you will – it’s well worth firing off an annual test shot to make sure it’s still fully functional. While there are myriad types of spray available, it’s easiest to whittle them down to the most commonly used. Think again about how you plan to carry your pepper spray gun and look for something as compact as possible that’s still fit for purpose. We very much hope you’ve found these best pepper spray reviews informative and entertaining. Don’t leave your own security to chance. Be prepared and walk with renewed confidence knowing you can incapacitate anyone trying to hurt you with no lasting harm and no risk to yourself. Come back soon for more must-have products for all your home and garden needs.